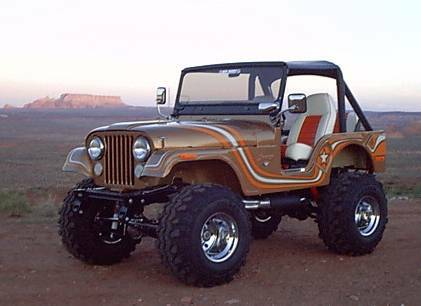 DO YOU REMEMBER YOUR FIRST JEEP CJ? 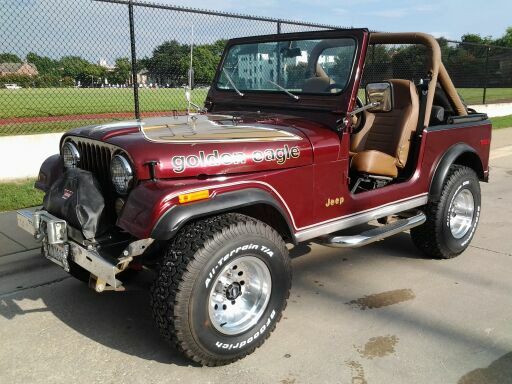 Remember the way the factory pleated seats felt on your lower back? Remember the feeling of the wind whipping your hair around on a nice summer day driving with one foot dangling out the door opening? Remember the first time you drove with the windshield down? If so , this site is for YOU. 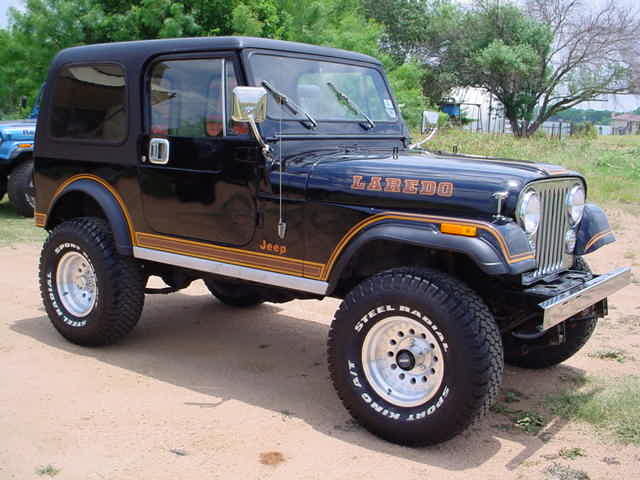 We restore clean, rust-free Jeep CJ's from the AMC years back to as close to factory original as you will ever find. Compare our stock to original factory dealer color brochures and you will see what I mean. 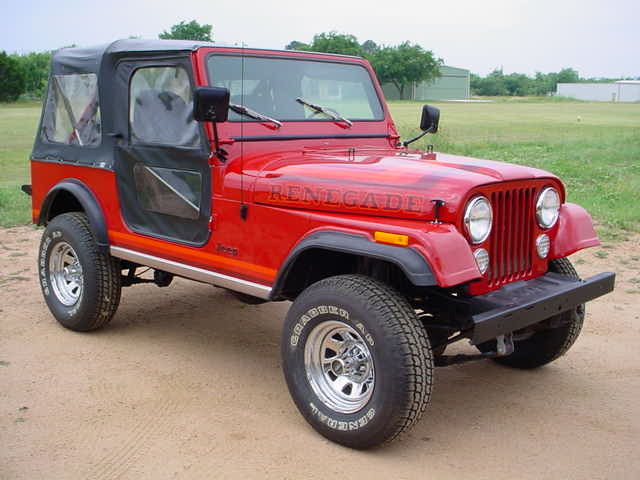 We specialize in original and restored Jeep CJ-7's, CJ-5's, and CJ-8 Scramblers as well as hard to find original replacement CJ Decal kits, factory hardtops, and a growing list of not available anywhere else replacement parts like STAINLESS Steel T-BOLTS for Rocker Panels, DASH BEZEL OVERLAYS, textured HARD DOOR DECALS, original Levi edition material, OEM Spec radios for original dashes for Jeep CJ's. 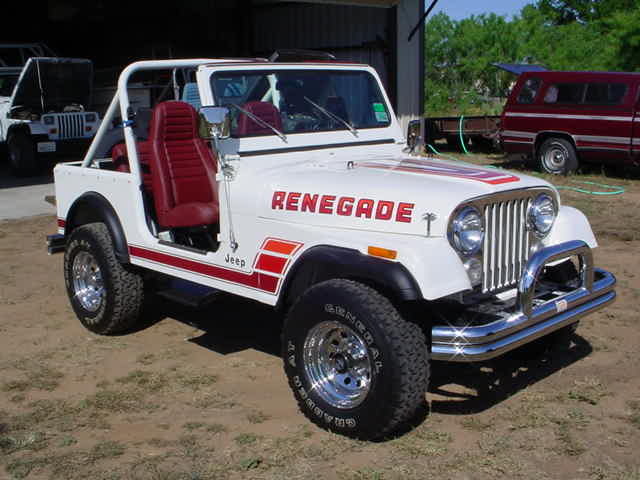 We always have a good, reasonably priced inventory of clean, original, correctly redone Jeep CJ's (and a few Wrangler and misc trade-ins) as well as original GOLDEN EAGLE, RENEGADE, LAREDO, and SCRAMBLER, and some FSJ decal kits to complete your AMC Era restoration project. 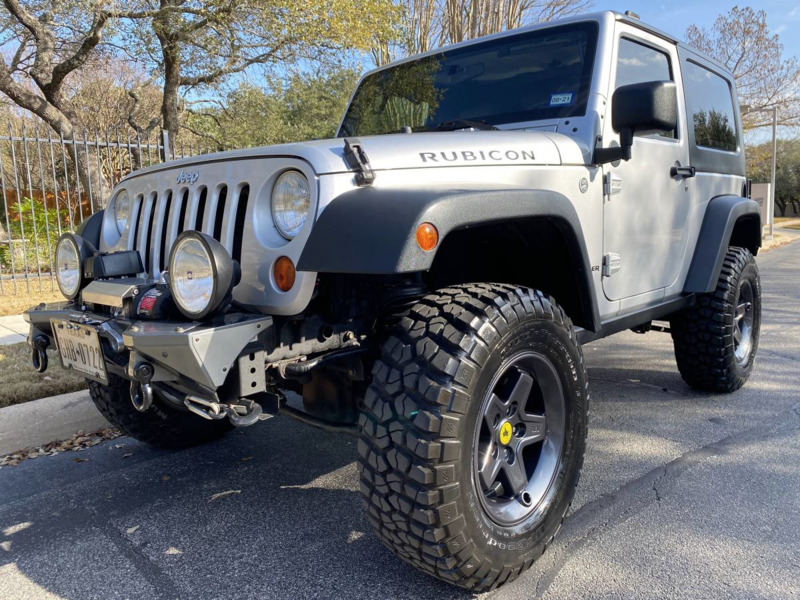 Feel free to look around the website and click on the LINKS BELOW to see what we have to offer. If you have any suggestions, comments, or questions, E-mail me at the address listed at the bottom of the page, or call one of the phone numbers listed below. 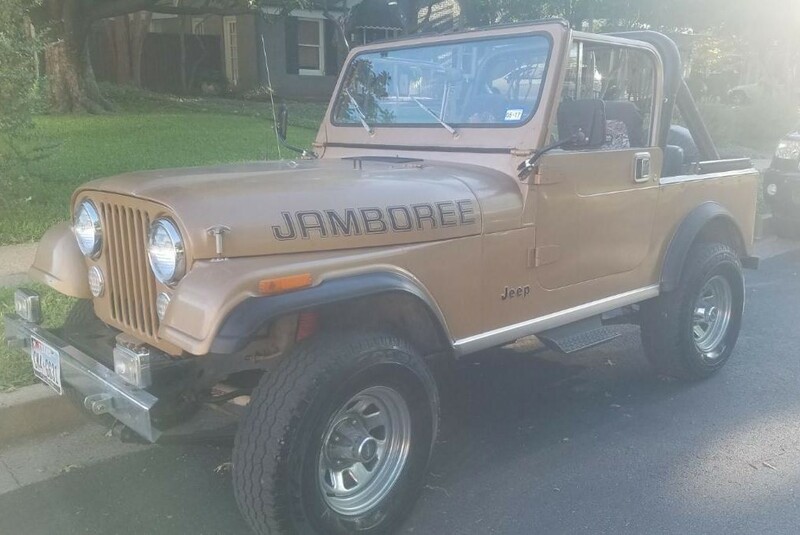 Long live the AMC era JEEPS. 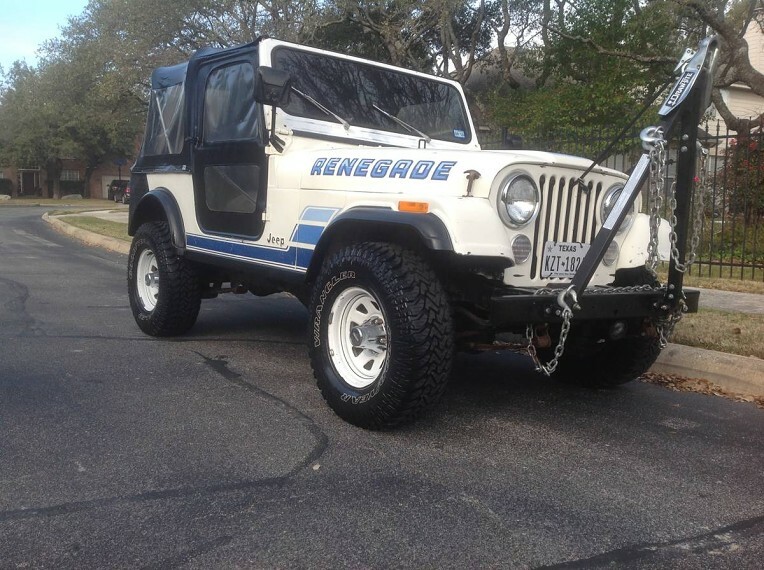 Sell us your restorable original Jeep CJ! 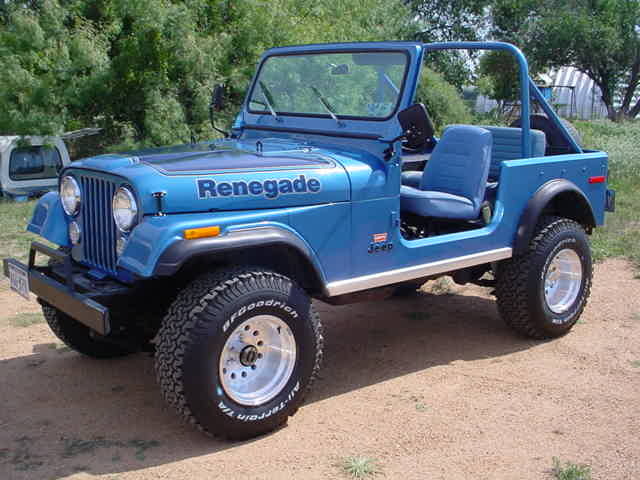 Paying CASH for your used JEEP CJ-5,7,8 or Wrangler, any condition but rusted. 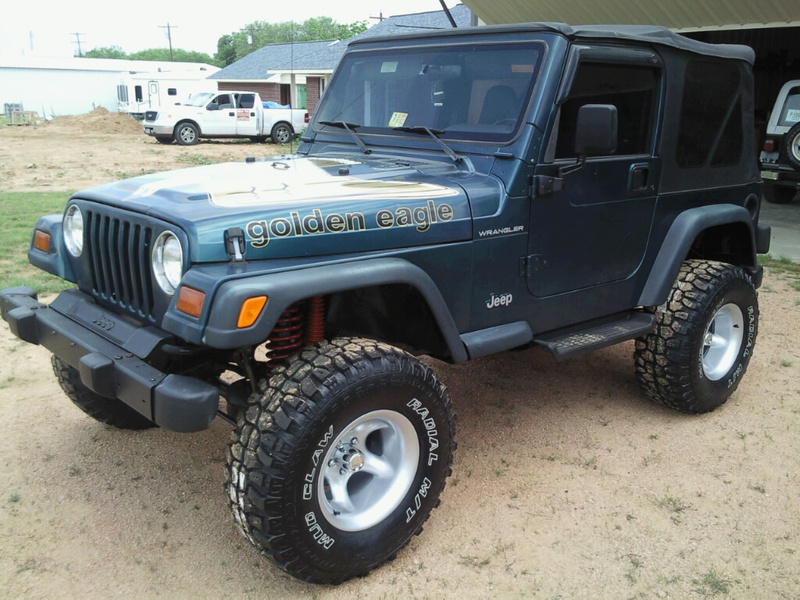 We also buy Jeep Parts Inventories and tops!